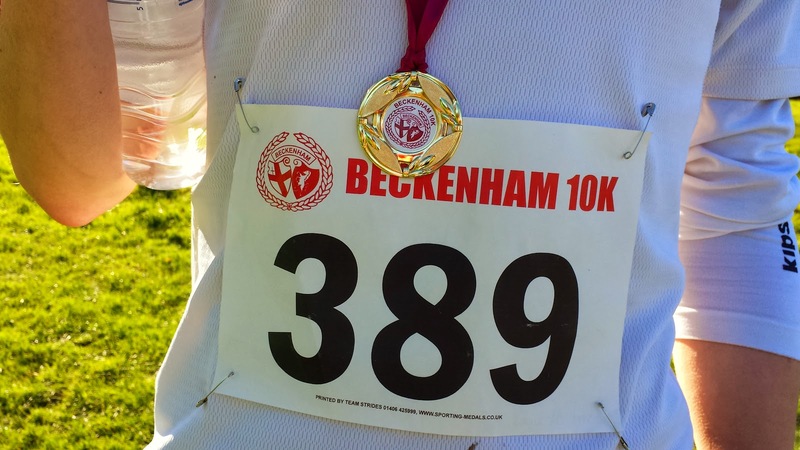 The Beckenham Trail 10k race is hosted by Beckenham Running Club and takes place in some of the last remaining ancient woodland in London, at Beckenham Place Park. 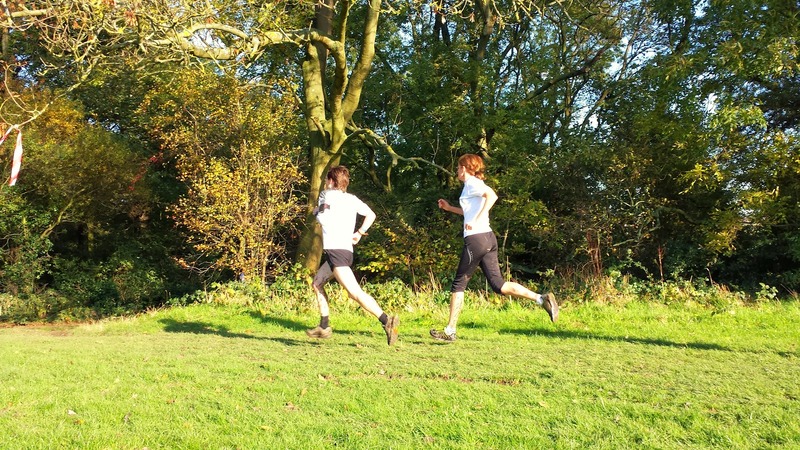 It was recommended to me by fellow Riddlesdown parkrunner, Graeme. My race pack was sent to me about 10 days before race day and contained my race number and a sheet with the course map and lots of useful information on it. There is plenty of car parking available on the local roads that surround the park, and once we had parked, we headed over the race HQ. 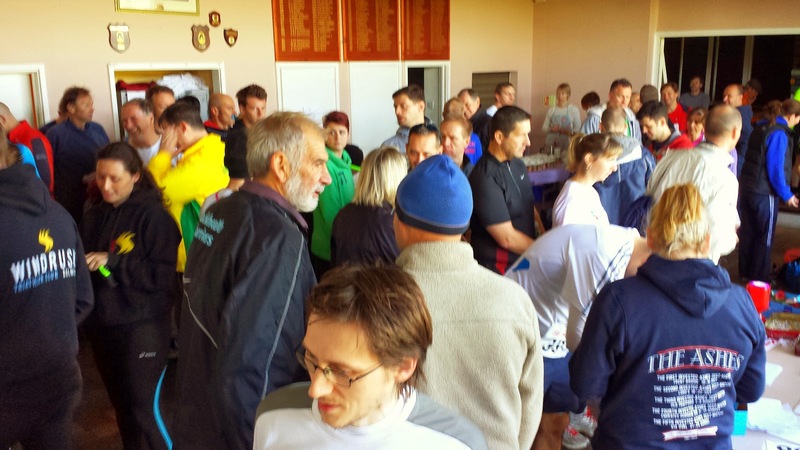 The race HQ is located about 800 metres from the start of the race and is well equipped with the things you might need pre- and post-race - toilets, changing rooms, showers, tea, cakes, bicycle parking and most importantly at this time of year - warmth! (although to be fair it wasn't really that cold). The race is held in aid of the Royal British Legion and takes place on remembrance Sunday (every year, I believe). The race start time is set at 11.02 which allows time for a lone bugle player (short clip here) to play the last post at 11am where runners, spectators and organisers fall silent for two minutes in a mark of respect. Being a trail race, there was no question as to which shoes to wear - I had worn my trail shoes the previous day at Tonbridge parkrun and fortunately just about managed to dry them out in time for this race, which takes place over two undulating 5k laps of the western half of the park. 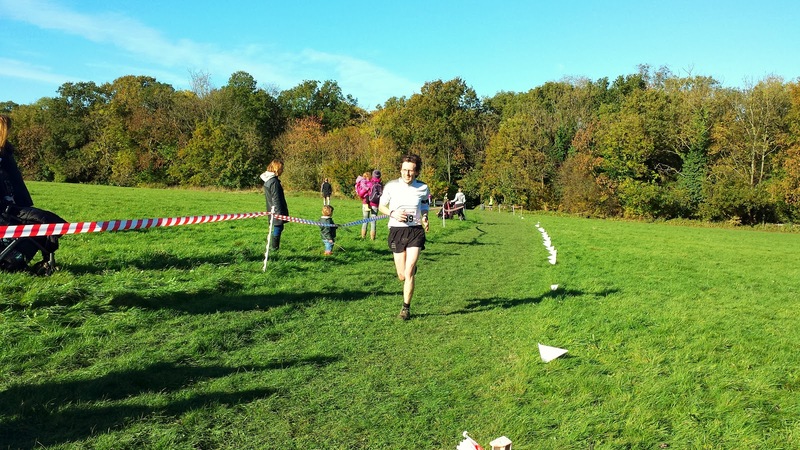 It starts atop a hill and the first section is largely downhill where runners worked their way into the woodland, occasionally popping out into a grass clearing and then disappearing back into more woodland - this continues for the majority of the lap. There is a steep-ish incline through a grassy clearing (made more difficult by slippery mud) the ends in a scramble up a dirt bank complete with tree roots - I actually used my hands to pull myself up on lap one, but on lap two I was better prepared and used the roots as steps. The open grass areas that the route passes through are quite popular with dog walkers and there were dogs leaping around as we all passed through. I was almost tripped on a couple of occasions but thankfully managed to come through unscathed. 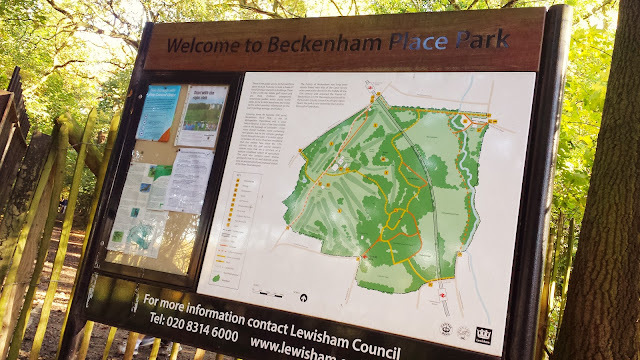 As the lap progresses, there is a flat section on a man-made path which runs parallel to the Ravensbourne River - I was looking forward to the chance to stretch my legs on this section but there was a bit of a headwind which took the edge of off any attempt at increasing the pace. The last kilometre of each lap is largely uphill and to make things even more interesting, it includes a section of woodland steps to negotiate. I was pretty wasted by the time I reached these on lap two and barely felt like I was moving as I plodded up them. The marshals around the course were all extremely friendly and offered clear directions and lots of encouragement each time I passed, although I started by thanking them verbally, before long the best I could manage was a thumbs-up or a wave. The race finishes on top of the same hill that it started and emerging from the woods to the sounds of cheering is enough to carry the weary runners up the last stretch of incline to the finish line. I was handed my finishers medal as I crossed the line. Timing was taken care of the old fashioned way - by stopwatch. The results were on-line just a few hours later and I was happy to see my finish time was 44.21. Two hundred and thirty-nine people took part and I finished in 20th position - just inside the top ten percent. I thoroughly enjoyed the race and would certainly recommend it. Another nice touch was that the official photos were uploaded to flickr rather than via an online store. 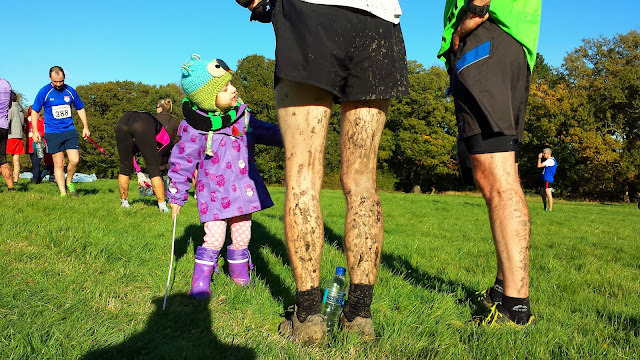 I need to thank Graeme for recommending the race to me and would like to thank my two ladies for taking the photos and having the patience to stand around in the cold while I went off to play in the mud!